Choosing the place where you will spend your Golden Years is one of the biggest decisions you will ever make. There is so much to consider, your budget, your lifestyle, your health and of course the overall timing of your future transition are just a few of the things that help in making a successful plan. You might be grappling with the opinions of your friends and family members. You might even be apprehensive about what your life might look like after you take the “big step”. Visiting all of the communities you are considering is of the utmost importance. When you do take the time to visit in person you will feel the difference right away. The minute you enter the front door you will know if you are visiting a “facility”, or a “community”. 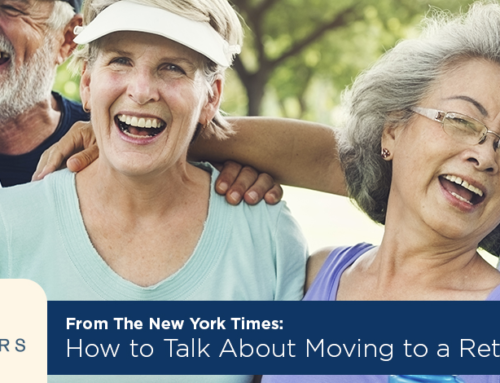 Modern seniors today have no intention of living in a “facility”, but they welcome the idea of making a move into a new, vibrant “community” that offers them all the tools they need for successful aging in place. That is the spirit in which Brazos Towers at Bayou Manor was created and still operates today, 54 years later. Serving seniors from as young as 62 years old up beyond 100 years of age. AARP suggests you be kind to yourself while considering all of your options. Affordability is always paramount. Certainly you should consider places that are within your means, but not necessarily go looking for the cheapest options you can find. Do your best to plan your next chapter in such a way that you can continue to live your life in the style you’ve become accustomed. Remember you have been saving for retirement for a long time and at some point it will come time to use the assets you have acquired for the purpose they were intended. Many find that it can be difficult to make that paradigm shift, but don’t short change yourself – you’ve earned it. The process of selection can take much longer than you might expect, so start early when you have the luxury of time. That way you won’t feel rushed into your decision. Those that choose to wait until they “need it” typically don’t have the luxury of the time they need to make a well informed decision. They might find themselves in the midst of a health crisis where their medical professionals have told them and their family that they no longer can live in their own homes safely and must find a place that offers them more support with their personal care. Once they have waited that long the transition becomes much harder to endure both physically and emotionally. It puts additional pressure on family members and friends to find the right community if the discovery process has not already been completed. Why leave things to chance when, if you start early, you have ample time to lay the perfect plan? Taking the time to consider all of your options and carefully weighing the features and benefits of each community is not just a good idea – it’s a vital one! Remember that every community is so different from the next that many times the process of comparing can become confusing. Different services, different benefits, different amenities, different management styles, different resident profiles, different locations – and the list goes on and on. It is difficult to compare communities to each other if they are not similar in nature, so make sure you do your best to compare apples to apples and oranges to oranges so you can get a realistic comparison. It’s one thing to read about what makes Brazos Towers at Bayou Manor different. It’s another to experience it for yourself! So do yourself a favor and take the time to visit us. We can help give you the tools you will need in your search, share what we know from having been in the retirement business for over half a century and show you how retirement has transformed into “reINSPIREment” when you choose the right community. We look forward to helping you discover what path is best for your future – see you soon!